SEO Hasn’t Changed much in 10 years. When you say SEO to a business owner, some will know what you are talking about, but most of the time it might as well be French. Search Engine Optimization is a very important and integral part to having a website vs a digital business card. If you put up a website with a bunch of pictures and your logo and a brief explanation of what your site is about, congratulations, you have a photo album! A website, in this day and age, MUST involve many other facets to be a productive part of your company. If your website isn’t bringing in customers/clients by over delivering the information they are looking for, then you lose them to a competitor who did it right. Ten to fifteen years ago you could throw up a website add some text and rank quickly and effectively because there were a limited number of websites. Now, there are tens of millions of websites on the web throughout the world. Just in the city you do business in, there are multiple other companies with sites in your city, so the competition is massive now compared to 15 years ago. 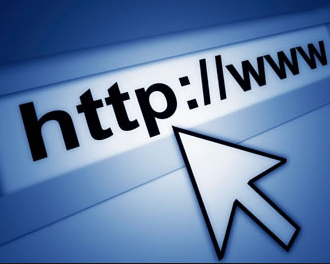 One of the first steps in a successful website is choosing the domain name. Your domain name defines your website and what it is about. This should be thought about and not just jumped into. Choose your domain carefully. We usually suggest <your market>+<city>, (i.e. rooferhouston.com). 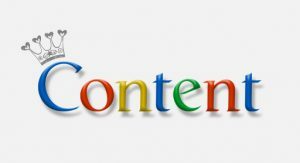 The biggest thing for any website is content, content, content! Read this again until you understand. Every website that ranks well is going to have good content rich with keywords that you want to rank for. This goes back to what I said above about having a digital picture book. If you only have pictures of what you do, then the guy with rich content AND pictures will always outrank you. The reason for this is Google wants to see what your site is about. When it’s spiders crawl your website, it reads what you have on the site and the AI (artificial intelligence) is smart enough now to be able to tell what topic your site is about and from that data that it collects about your site, determines how to rank you when someone types in a search for your business services or products. If every page on your site has good related content to the topic of the page, you will leave your competition in the dust. If you service a main city and its suburbs, each of those suburbs needs its own page targeting customers in that area. When you go on to your computer and do a search on Google, they know your location and will bring up the appropriate results based on your location. So if someone is searching for you in a suburb of a major city and you have a page up for that suburb specifically and your competition doesn’t, You Win! You didn’t honestly think that was it did you? Good. Let’s move forward. Another factor is images. Images are good because it provides eye candy to your viewers and keeps them engaged. No one like to read an encyclopedia with no pictures. Relevant pictures provide an extra buffer to your readers to keep them interested. Just adding pretty pictures to your website is not enough and the biggest mistake most people make is just throwing up an image without optimizing that image to work for them. You can add keywords to your images and this will help you rank for those keywords. Didn’t know that did ya? Going back to Google, when your site is crawled by search engines, it can see that there is a photo in the code, but it cannot see what the photo is about. You can help search engines and yourself for that matter by renaming the pictures with relevant keywords. In addition, there is what is called an “alt tag” This too can contain yet another relevant keyword. Since search engines can read keywords, it will see that word, relate it to your site and when a search is conducted, it will rank you for that keyword. Sounds simple still? Not so fast. There is more. Over the years new techniques have come about in the world of SEO and how to please search engines to improve your sites recognition. The more you help out the search engine the more they seem to want to reward you for that work. In conventional terms, schema allows you to add even more data to your site and images to further tell search engines what you are about. In addition, you can geo tag those images to your location further vetting who (and where) you are. Search engines LOVE schema. If you are not using it on your site now, you are doing yourself a great disservice with the SEO part of your website. 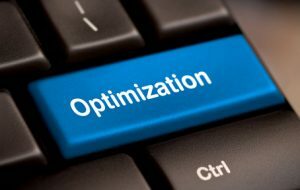 In case you are wondering, we do schema optimization on every one of our websites. Citations in a nutshell are your company name, address and phone number entered into tons of directories around the US. What this does is add credibility to your website because search engines will see other sites with a reference to your site match the N.A.P. (name, address, phone) and add more data about your site to their database. We recommend no less than 300 citations for every website. They need to be quality citations and they need to be relevant to your market. This is a very time consuming process for SEO companies, but it is a necessary evil as well. Most businesses do not take social media seriously and will use it like they use their personal accounts. Social media is so much more powerful than you realize. Do you ever go online and look up a video about a topic to see if a video on that topic exists? Yeah, me too. Well what if you made a quick 20 second or so video promoting your company, titled it properly and linked it back to your website? Now you have a video that will rank in minutes for your topic AND have links to your website where an interested party could click and go to your site and see what you are offering! Again, this is a free tool, that just requires a little skill and time on your part. Some people make a lifestyle of it and become vloggers (or video bloggers) racking up thousands of followers to their topics and able to present viewers with information that is useful. 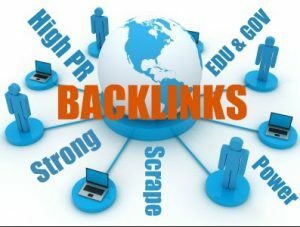 Backlinks in a nutshell are links from other high authority websites that have linked to your website. When search engines see this, and as long as the subject matter is relevant, it boosts up your ranking in searches done by your potential customers and clients. Many SEO’s do this wrong and end up trashing your sites reputation. There are good links and bad links. Good links are from trusted sites that are not link farms, but actual websites or blogs containing articles that are relevant to specific topics. If you are able to land a post with a link back to your site, boom, you move up in the ranking world. Sounds easy right? Wrong! It is a major pain to do these and you need to insure that you are using a good company that understands the differences otherwise down the road you will wonder why you can’t get on page 1 in the ranking. I could go on and on for hours and pages on the topic of SEO. The bottom line that you need to take away from this is SEO agencies, like King Consulting Group, tackle many facets of designing your perfect site and making sure that it is optimized to the fullest potential. We engage in what is called White Hat SEO only. We will NOT under any circumstance employ black hat SEO tactics on a client’s site. This just causes major issues for both the website owner and us at the end of the day and no one likes doing anything twice. When searching for an SEO agency to handle your online presence, we hope that this short article on the subject give you a little behind the scenes view of what an SEO agency actually does. Like I said earlier, there is much more to it than even this, but for reasons of time and not giving away our secrets to our competitors, we are giving you the basics of some of what we do. Many business owners do not see the actual value of what good SEO can do for their company. Many have been burned by bad SEO guys out there who watch a video online and decide they are SEO pro’s. SEO is not cheap. Quality SEO, done right will cost, we’re not going to lie about it. It’s just a fact. What you, as a business owner, MUST understand, is that if you put the investment into the right SEO, your page rank and your business will increase. Simple as that. If you want the best and are willing to make the investment, we hope you will choose King Consulting Group for your next SEO marketing strategy.